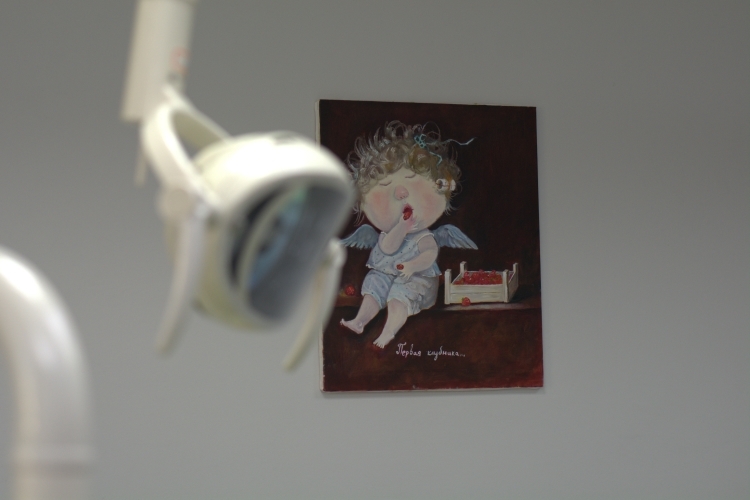 The procedure is absolutely painless, takes a few minutes, does not require special conditions, and therefore is acceptable even for the smallest children that are frightened by the previous dentist experience. It can be used for diagnosis of dental caries for temporary teeth at the stage of stains. We were first to start using this medicine, and our center has improved the technique of its use. The cost of treatment of one tooth is 100 UAH.